Prof. Gincy Varghese C has a B.Tech. in Electronics and Communication from Calicut University and M.Tech. in Signal Processing from NIT, Calicut. 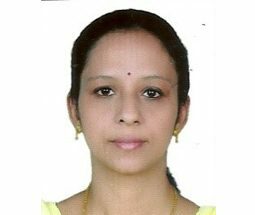 She has more than 9 years of teaching experience and currently she is working as Assistant Professor in the department of ECE, SoET at CMRU. 2) ‘Towards A Robust and standalone system for Binarization and OCR of Document Image” held in Cochin University of science and Technology. 3 ) “OFDM channel Estimation using Compressive sensing Algorithm” held in FISAT, Angamaly.